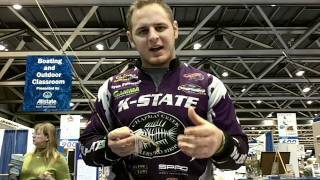 Bassmaster Elite Series pro, Jeff Kriet, met up with Tackle Warehouse to discuss the new Big Bite Bait Shakin' Squirrel in the Big Bite Bait booth at the 2011 ICAST Show in Las Vegas. Ryan Patterson discusses the Jewel Swim-It, where he likes to fish it, and why it is so effective. 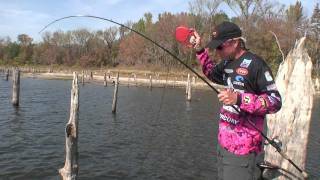 Great demonstration on how easy and effective the Hound Dog Lure Retriever is! 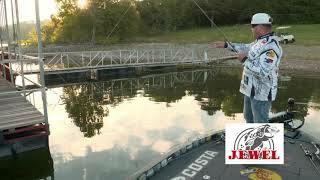 James Watson telling you about flipping docks with a Jewel Jig and the effective targets to hit. Here James "WORLDWIDE" Watson talks about different jigs and line size, and how he choose which to use.